This bloodtrail is 100% real. 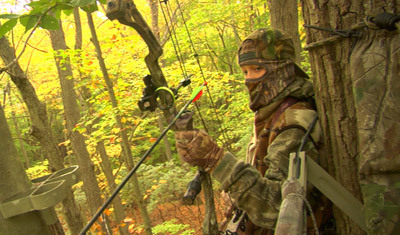 All the pictures and steps are as it happened during 12 year old Pat Lefemine Jr's first deer hunt in October, 2008. Good Luck! 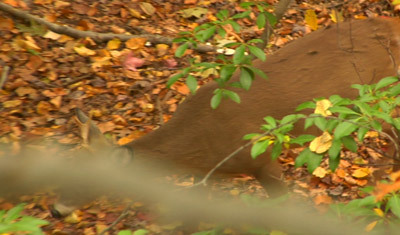 For our first question, look over the deer photo and answer the question below.